Boston, MA | Three members of the so-called Irish mob midgets, a Boston-based criminal organization composed of people of short stature, have been arrested this morning reports the Boston Chronicle. Security camera footage show the three suspects during a home break-in in which the intruders entered the house through the pet door. Authorities also believe the crime organization could be behind 55 other similar break-ins in the region. 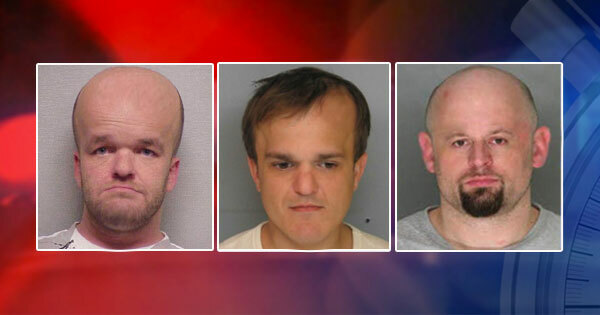 Although the Irish mob midgets officially describe themselves as a “non-profit motorcycle enthusiast group for small people of the Boston area”, several high-profile members of the organization have been arrested in the past years on charges of drug-trafficking, arson, and aggravated assault. 5 Comments on "Boston: Members of Midget Crime Gang Suspected of 55 Break-ins"
Wow, 55 break ins? They fell just short of the record. I guess after one successful break-in they got a little big headed. My god i know the one on the left from hs! He went down the path of evil. i will pray for him daily.